TRANSFER is pleased to present ‘EVIDENT MATERIAL’ a new series of work from Phillip David Stearns. 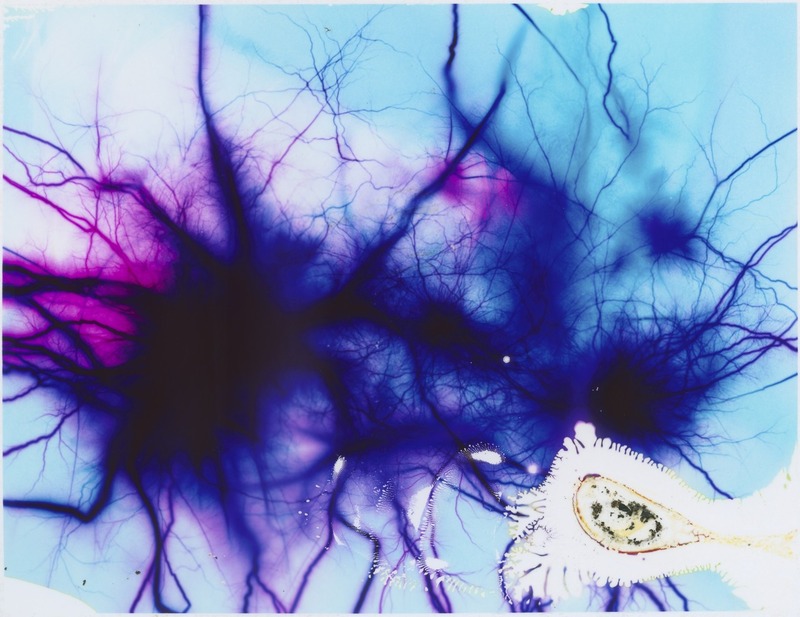 For this exhibition, Stearns produced film-based images without a camera by applying various household chemicals and 15,000 volts of alternating current directly to the film. 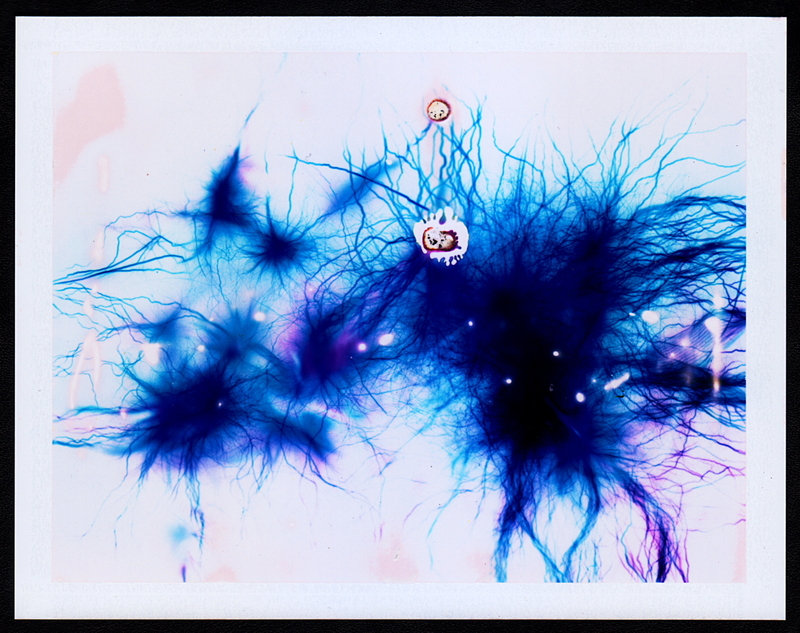 In a flash, arcs spread out across the surface, burning holes and igniting the film. As in our eyes, images are conveyed in a stream of such electric impulses. Here such impulses are amplified some 300,000 times. This work continues previous explorations challenging the ontology of post-digital photography using extended techniques—bending, cracking and breaking the medium. The works in ‘EVIDENT MATERIAL’explore the potential for analog photographic media to operate beyond their intended capacity for reproducing a world of appearances. The process of extension is applied to every material in such a way that reveals process itself as evidently material. PHILLIP DAVID STEARNS, (USA, 1982) Based in Brooklyn, NY, Stearns’s work is centered on the use of electronic technologies and electronic media to explore dynamic relationships between ideas and material as mobilized within complex and interconnected societies. Deconstruction, reconfiguration, and extension are key methodologies and techniques employed in the production of works that range from audio visual performances, electronic sculptures, light and sound installation, digital textiles, and other oddities both digital and material. For the next 3 Days, Glitch Textiles are available on Fab.com with sales prices discounted over 20%! 9 New Designs for the Jacquard Woven Glitch Blankets now available! These and all other Glitch Textiles are on sale for $200 each +shipping. Order by the end of the day on Friday, November 30th to receive yours before December 25th. ALL Glitch Textiles are on Sale! I’m in the process of updating each and every page, but ALL Glitch Textiles are available on sale for $200 each plus $15 flat rate shipping (FedEx Ground). Just click on the design you like, then click the “Buy Now” button to place your order via PayPal. I’m very excited to announce that a fresh batch of all new machine knit Glitch Blankets for the Glitch Textiles project just arrived! I’ve developed a dozen new designs and am in the process of photographing them all. For the time being, enjoy the slideshow featuring photos of a handful of the new blanket designs offered as Kickstarter rewards (link). These will become available for purchase starting November 1, 2012. Stay Tuned! 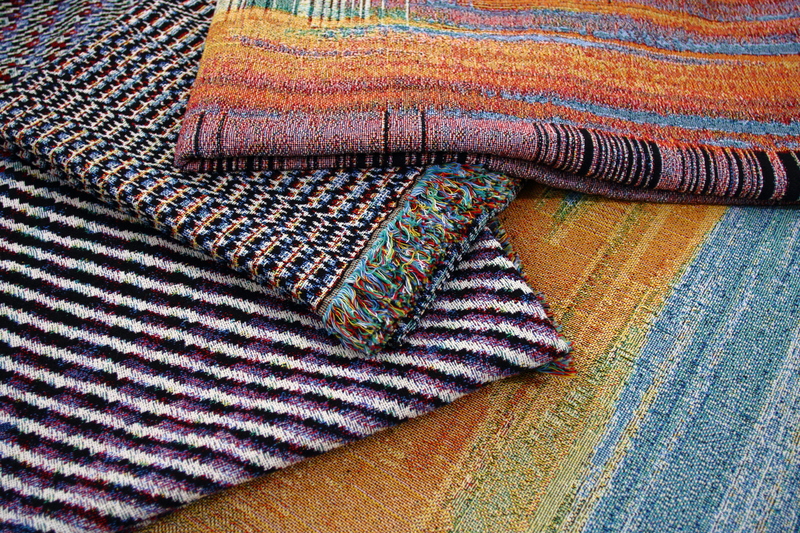 Three all new weavings just came back from the mill: 36″ x 24″ tapestries. Source images came from camera glitches featured in the Year of the Glitch posts 211, 198, and 192. I’m offering these as rewards on the Glitch Textiles kickstarter campaign at the $225 level.